Pretoria University, Venda University, University of Port Elizabeth, University of the Western Cape, Technikon Northern Gauteng, Vaal Triangle Technikon Vanderbijlpark, Vaal Triangle Secunda, Border Technikon East London, Vaal Careers College, St Stithians Collegiate Johannesburg, St Mary's College Kloof, St Andrews College Grahamstown, The American International School of Johannesburg, Rhodean School in Johannesburg, Hilton College in Kwazulu Natal and Bishops Diocesan in Cape Town. 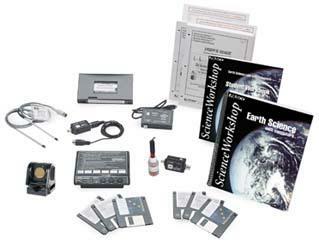 The Earth Science Bundle provides the interface, software, experiments and manuals needed to perform 14 experiments documented in the Earth Science Teacher's Guide. With the Earth Science Bundle, your students can explore a variety of concepts related to stewardship of the earth and the comparison of our planet to "other worlds." 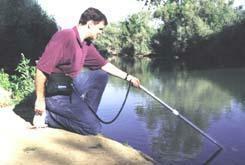 The 23 documented experiments in the Earth Science Teacher's Guide include: Measure Temperature of Flowing Water, Measure Clarity and Turbidity in Water,Reducing Turbidity in Water, Measure pH of Rivers and Streams, Acid Rain: Detection and Causes, Determine Space Craft Surface Material, Measure Acceleration of a Model Rocket, Map a Planetary Surface, Measure Acceleration of a Falling Object, Measure Relative Humidity, Test for Life: Measure a Chemical Reaction, Measure pH of Other Worlds.